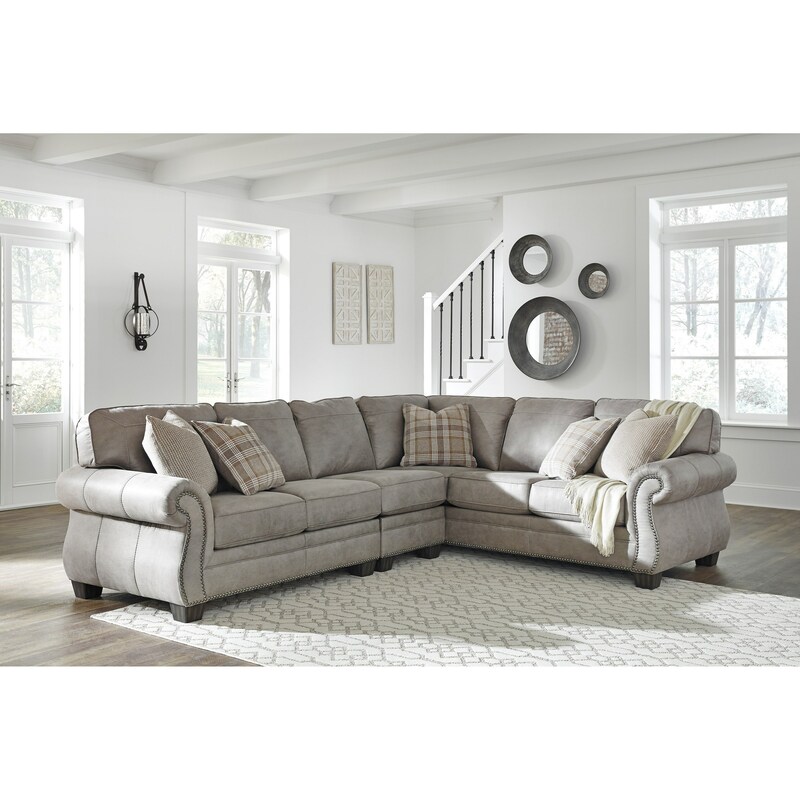 An effortless blend of traditional and contemporary design elements, this transitional sectional will bring comfort and style to your living room space. Attached back cushions remain plump and in order, and the nailhead trim detailing along the rolled arms completes the look of this piece. Arrange the components to best fit your available space, and you'll have plenty of seating options to accommodate guests. The Olsberg 3 Piece L-Shaped Transitional Sectional by Signature Design by Ashley at Miskelly Furniture in the Jackson, Pearl, Madison, Ridgeland, Flowood Mississippi area. Product availability may vary. Contact us for the most current availability on this product. The Olsberg collection is a great option if you are looking for Transitional Casual furniture in the Jackson, Pearl, Madison, Ridgeland, Flowood Mississippi area.